There is a saying that advises "when life gives you lemons, make lemonade." In other words, make the best out of a bad situation. Some people in the Netherlands are taking that advice. This June, they suffered under one of the rainiest months in Europe in more than 100 years. But instead of complaining about the rain, some Amsterdam residents decided to take advantage of the extra water. No, not to make lemonade – to make beer. Joris Hoebe is an entrepreneur in the Netherlands. He was already working on projects to help Amsterdam be more like a sponge. The projects aimed to help the city capture and use more rainwater before it goes into the sewer system and out to sea. Hoebe also enjoys making beer at home. He thought he might be able to capture rainwater and use it to make beer. "Well, I thought 'I need water to make beer and we have this problem of these heavy rainfalls, so why don't we combine these two?'" When Hoebe makes beer, he does not need too much water. But larger beer makers do need a lot of water. It takes about five liters of water to make one liter of beer. Because water is a significant expense for a brewery, anything the small brewery can do to limit that cost is helpful. So Hoebe thought he might be able to talk a small brewery into using rainwater to make beer. Workers at Brewery de Prael in Amsterdam were not sure about the idea at first. One concern was that the rainwater would be dirty. But Hoebe and a partner, Pavel van Deutekom, were already working on a rain-catching system that filters the water so it is safe to drink. The two men were assisted by a group of students at the Amsterdam University of Applied Sciences. When Hoebe and the students said they could provide 1,000 liters of water, the brewery workers thought it would be worth a try. Thomas Gesink is the marketing manager of Brewery de Prael. Gesink said he never thought of using rainwater to make beer. He thinks the brewery is the first in Amsterdam to experiment with rain as a water source. "Because it is a first time that it has ever been done by my knowledge and it's a very innovative project," Gesnik said. The team boiled the water and filtered it to make sure it was clean. They then started making a blond beer called "Hemelswater," which means "heavenly water" in Dutch. It is almost sold out. 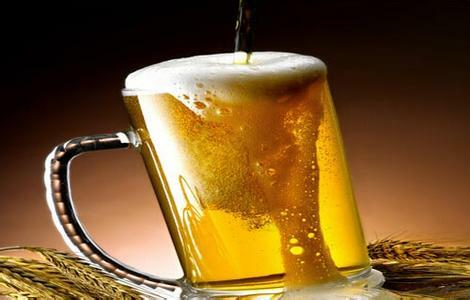 Hoebe told The Guardian newspaper that making beer is only the beginning. The plan is to put more water collection tanks and filters around Amsterdam. If the showers continue, residents can capture the rain and use it to make anything that needs water – soup, sorbet, and yes, even lemonade. In other words, the process of economic growth is under way. My landlady keeps complaining about the noise. This method is worth a try, and might be a clever move. All window seats are sold out. 1.But instead of complaining about the rain, some Amsterdam residents decided to take advantage of the extra water. I mean to take advantage of it. It never occurred to me to take advantage of him. 2.Workers at Brewery de Prael in Amsterdam were not sure about the idea at first. At first he had refused to commit himself. At first she found her life fairly tolerable.